Retailing in a very competitive environment is not for the faint of heart. 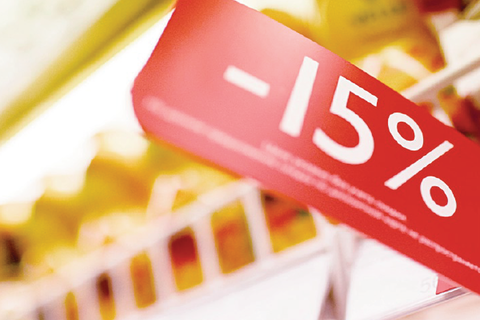 Here’s how to play the pricing game. <>Q: I own a convenience store in the condominium complex where I live. How do I make my prices competitive in order to attract the condo dwellers instead of them going out and buying their groceries from the nearest supermarket? A: If you are a new operator in the area, research the pricing environment. Find out how many competitors are in the area, and how far they are from you. Condominiums near your building would most likely have mini-groceries, too. If you are near a shopping mall, it is almost certain that you are near a supermarket as well. The more stores there are in the area, the more competitive is the environment. If this is the case, you cannot raise prices anytime—your sales would suffer because customers could easily go to the store with the most affordable prices. In order to compete profitably, your pricing strategy should not be focused on the margins that you’ll make for every product; rather you should focus on how much volume you could generate. Ideally, your sales volume should be sufficient to produce decent returns on your investment and pay for operating expenses. There are many ways to attract customers to your store; here are two of them. First, lower prices than those offered by competitors. This is the easiest way to build a following, especially if you are new in the area. However, this will decrease your margins, and you risk not generating enough volume to cover your costs. If the increase in sales fails to cover your operating costs, you will be in trouble. Remember, when you cut prices, you increase your breakeven target; higher targets are harder to achieve. If you are considering lowering your prices, choose products that are highly elastic, or those highly sensitive to price changes. Products with high elasticity are normally available in every store. You can try cutting the price of a number of products first and see if the market responds. Did the increase in sales result in higher margins? If the response is positive, try to measure if the increase in sales is worth the cut in price. If the response is negative, re-evaluate. The key is to determine consumer preference and capitalizing on it. For example, toilet paper. Everyone needs toilet paper but there are different kinds, brands, and prices of toilet paper. If you could offer quality toilet paper at a lower price, you might be able to build a market for this. Developing a niche market for certain products that combine quality and affordable pricing helps increase sales. Second, know the competition inside-out. Check nearby stores to see their offerings. If they offer the same products that you do, you risk having slow sales—your market would be limited to the people in your building. products, assuming your customers really like those products, you will be able to slowly increase your prices without fear of losing your customers. If you offer something unique, you can attract new customers to your store, giving you the opportunity to show them your other products. Know what your rivals are doing in terms of customer service. Know why customers like buying at their stores. Know why customers sometimes pay for higher prices at other stores. To attract more customers, perhaps you could offer Wi-Fi or have a loyalty program. These are some of the things you can do to improve your sales. Managing a retail store in a very tight market takes a lot of effort and study, especially of the changes in supply and demand of products. Pricing is the result of these changes. Differentiate your products and services to create your own competitive advantage. This article was originally published in the April 2013 issue of Entrepreneur magazine.